“The Seas with Nemo and Friends” features the underwater stars from Finding Nemo. 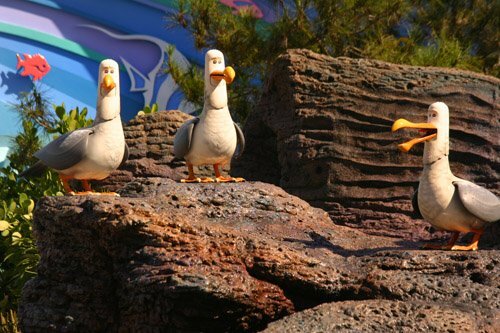 You can hear “Mine, Mine, Mine” from a few of those pesky seagulls while entering. When you enter the building, the queue begins with a seashore setting that transitions to an underwater theme. With the use of special lighting it appears as if you’re under the sea. 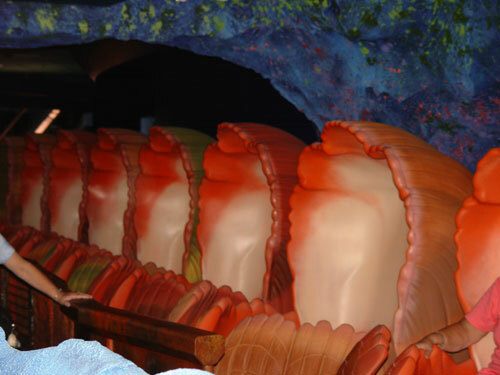 Once guests reach the boarding area, they’re transported by “Clam-Mobiles”, and join Mr. Ray on a field trip. As you can expect, Nemo goes missing and the pursuit begins. Animation and puppetry combine to make this a fun filled trip into Nemo’s world. You’ll join Marlin and Dory as they go in pursuit of everyone’s favorite clownfish. Through the use of amazing technology, it seems as if the stars from “Finding Nemo” are inside the 5.7 million gallon aquarium for the final sequences. ​Guests must be able to transfer from their wheelchairs/ECVs. Audio descriptions and handheld captioning are available. There are currently 0 reviews for The Seas with Nemo & Friends. 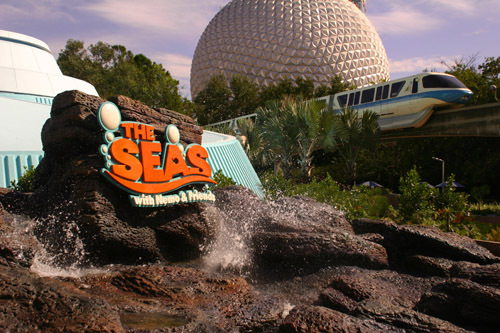 Be The First To Review The Seas with Nemo & Friends! You can also search for The Seas with Nemo & Friends specific threads!